Cast iron is not impossible to weld, although many that attempt to do so end up with cracked welds. The reason welding cast iron is a big challenge is that it contains up to 4% carbon. This is an insane amount, considering that any material with a carbon content above 0.30% is already considered “high carbon” and prone to cracking if proper procedures are not followed. So how do we weld cast iron? 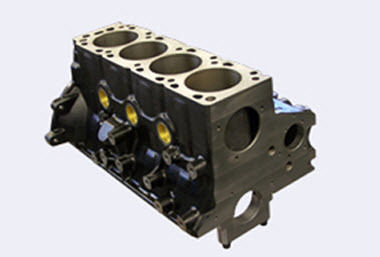 Repairing a cracked engine block is a much cheaper alternative than replacing it. Most welding done on cast iron is to repair cracks. It is good practice to find the ends of the crack and drill a small hole to prevent further crack propagation. Also, it is important to grind out the crack. If the material is thick and there is a hairline crack on the surface we would not be able to weld and penetrate to get to the bottom of the crack. Therefore, we need to open up the crack and create a groove. 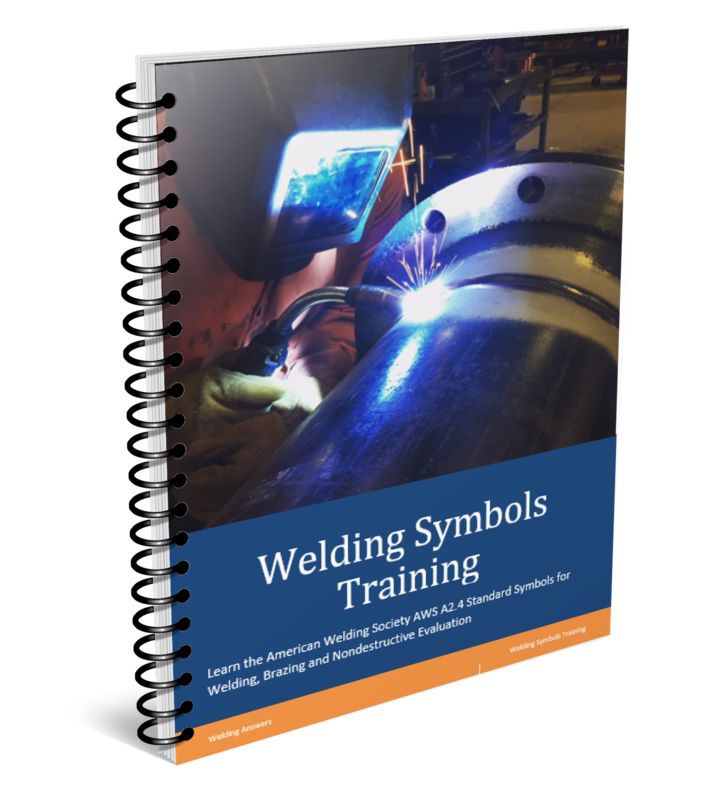 The Procedure Handbook of Arc Welding recommends a gap of 1/8″ and a land of 1/16″ for repairing cracks extending through thick cast iron parts. It is important to open up the crack in order to get adequate penetration. Weld only one inch at a time then let cool. Since cast iron has a very high carbon content we need to cool it very slowly after welding or we should weld it in a manner that keeps it cool enough. Anything above 1450F is not desirable. The welding arc is much hotter than this, so we need to insure we don’t keep the temperate too high for too long. We do this by welding short lengths at a time. An inch long weld is recommended. Then wait and let it cool down before welding the next segment. If you have the ability to preheat the part do it. Heat the entire casting to at least 500F. A range of 500 – 1200F is what you should aim for. As mentioned above we want to weld in one-inch increments. 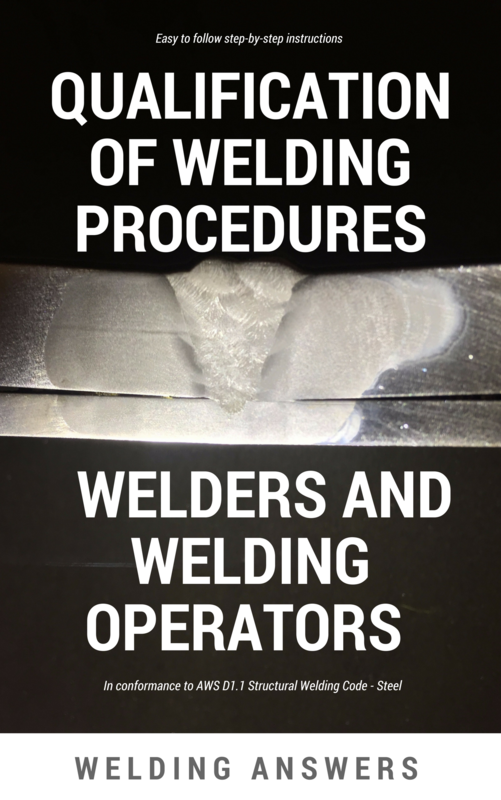 It is also helpful to peen the weld as this prevents the build-up of residual stresses which can cause cracking. This is done by introducing compressive stresses by making indentation on the weld. Keep in mind that even when a repair is done successfully you may still see small cracks next to the weld. This is normal and it’s only a problem is the part has to be water tight. In that case you can seal it by using a sealing compound. Do not attempt to do small welds over these cracks. Electrode selection is another key aspect of welding cast iron. For single pass welds use a stick electrode with 99% nickel. For multiple pass welds choose one with about 55% nickel. If necessary grind out a groove where the crack is to insure we don’t end up with the original crack below the weld bead. Preheat (if possible) the entire casting to at least 500F and no more than 1200F. Use stick electrode with 55% nickel content for multiple pass welds, 99% nickel content for single pass welds. Make small welds (no more than one inch in length) to prevent temperatures above 1450F on the casting for too long. Do not attempt to weld small cracks that may appear next to the weld, if necessary use a sealing compound to have a water-tight casting. Slow cool the casting – this can be done by throwing a cooling blanket over the casting or at the very least by keeping the casting in the warmest environment possible (i.e. in the garage when it’s cold outside). Have you ever repaired a crack on cast iron? How did it go? I didn’t realise that cast iron is a difficult metal to weld due to it’s carbon content. It seems like a real hassle to preheat the metal and weld in only one inch increments. There are some railings on my porch that need to be fixed, but this seems like the type of job I should hire a professional iron work company to do for me. tungusten carbibe bit (not a grinding disc) to achiece the avove mention operation! Thanks for the comment Tullio. Was is a result of a cleaner beveling operation or was it the shape and size of the tool that made it easier? Is the piece still structurally strong even with the small cracks? Cracks are never good (with a very few exception as in the case of cross check cracks in some hardfacing applications). 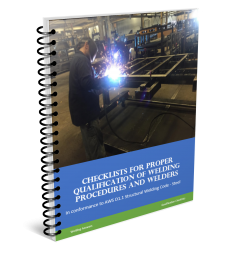 Determining whether the weldment is fit for service depends on the application. A small crack can grow over time and develop into a big crack. In some cases this is acceptable. Continuous monitoring of the part will be required to make sure a repair is made before the crack reaches a critical size. In some applications, such as an engine block, the crack will grow due to the cyclic nature of the loads (vehicle going down the road). In other cases the casting may simply be a tank that is stationary. In this case we are more concerned about leaks and these can be sealed with a sealing compound.